Contact for Self-Storage or Window Treatment Services! When it comes to selecting window treatments, did you know that safety, security, and convenience can be top on your list? They can—and with the Hunter Douglas PowerView™ motorized operating system, you can enjoy all of them in your home. To see if motorization is right for you, speak with a trained specialist at Windows to the World here in Mountain Top. We all understand the benefits of window treatments. They help control room temperature, cut the glare, allow us privacy, provide filtered daylight, and keep our floors and furniture from fading. However, to maximize the benefits of your window treatments, they need to be adjusted a few times a day. Motorizing your window treatments with Hunter Douglas PowerView™ will allow you to automate your blinds and shades to take care of that for you. It also takes care of the windows in those hard-to-reach areas! The Hunter Douglas PowerView App makes everything even easier. 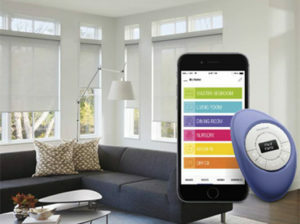 Designed specifically for Apple® iOS and Android™ devices, the PowerView App will control your window treatments via a “PowerView Hub.” You can schedule your blind adjustments to automatically occur throughout the day, either individually or in groups. How great would it be to open all of your window treatments in the morning and close them all at night with just a touch of a button? Working late, no problem. You can operate your blinds and shades from anywhere with wireless Internet access, even from your workplace or even halfway around the world. The best part is that that will create the illusion that someone is home, increasing your home’s security. Why Choose Hunter Douglas Window Coverings? Dave Coleman’s Windows to the World proudly serves Northeastern Pennsylvania and the surrounding areas from our Mountain Top, Pennsylvania offices. We service Mountain Top, Wilkes Barre, Kingston, Dallas, Larksville, Plymouth, Exeter, Scranton, Conyngham Valley, Drum, Laflin, as well as Lackawanna, Luzerne and Wyoming, PA counties. Count on us for all your window treatment needs. Contact us today to schedule a consultation. Contact us to learn more or to schedule a free in-home consultation today! Learn More About Hunter Douglas Window Fashions PowerView Motorization! 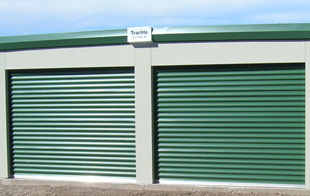 Dave Coleman’s Self-Storage Services, Call Us for Details! Do you need storage? Are you moving? Store household goods with us until you need them. Dave Coleman's Self Storage has convenient monthly prices perfect for short term storage. Remodeling your home or business? Use our convenient storage facilities to store large items out of the way. If you are not 100% satisfied with our storage facilities, security or our service you can tell us and we’ll make it right. We guarantee it – In Business Since, 1971. Like Dave Coleman's Windows To The World Inc. on Facebook! 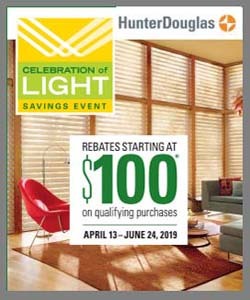 Visit our Hunter Douglas website for more information about our window covering products or call us today! We service Mountain Top, Wilkes Barre, Kingston, Dallas, Larksville, Plymouth, Exeter, Scranton, Conyngham Valley, Drum, Laflin, as well as Lackawanna, Luzerne and Wyoming, PA counties.